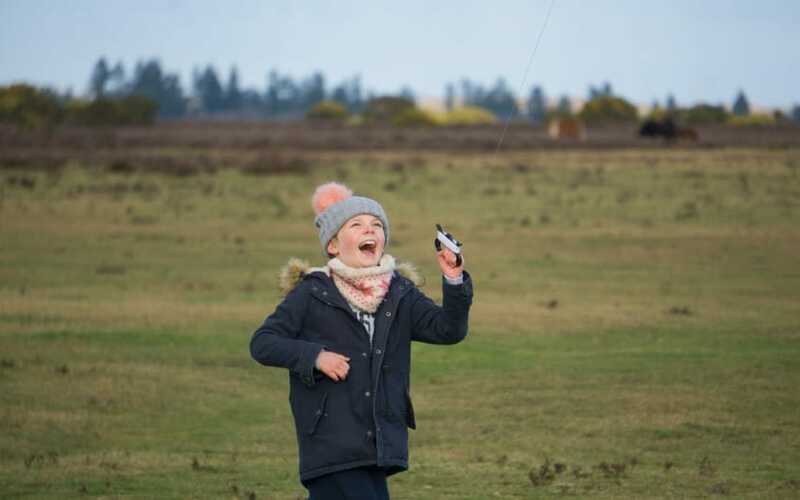 Kite flying is one lovely childhood memory. Spending the hours in the sunshine flying a kite up high with not a care in the world. With it being National Kite Flying Day today I thought I would try out 3 of the best kites on Amazon. I didn’t search for anything particular, kids ‘Kids Kites‘. Having 3 kids meant I was able to get 3 different ones to try out and they were all going to be happy and we could give them a good testing. 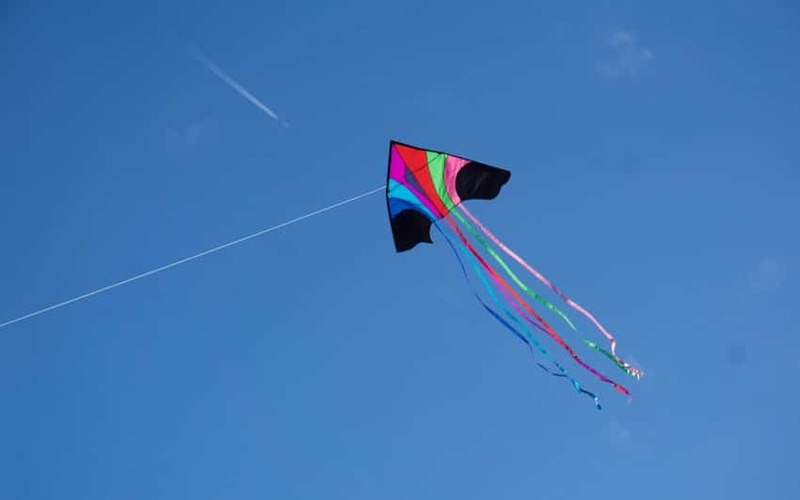 Kite flying is a great activity for children to do. It helps them develop strength and coordination. They have to learn how to launch it, how wind effects this and learn from their mistakes. Let alone the strengthening of holding it high up in the air! This kids kite was for Sofia and she loved it. This was an Amazon choice at the time of ordering and had over 83% of 5 star ratings. I can see why! It was a perfect kids kite. Measuring 107cm and full of colour it looked fantastic up in the sky. Sofia was able to control the kite well and loved running around with it! 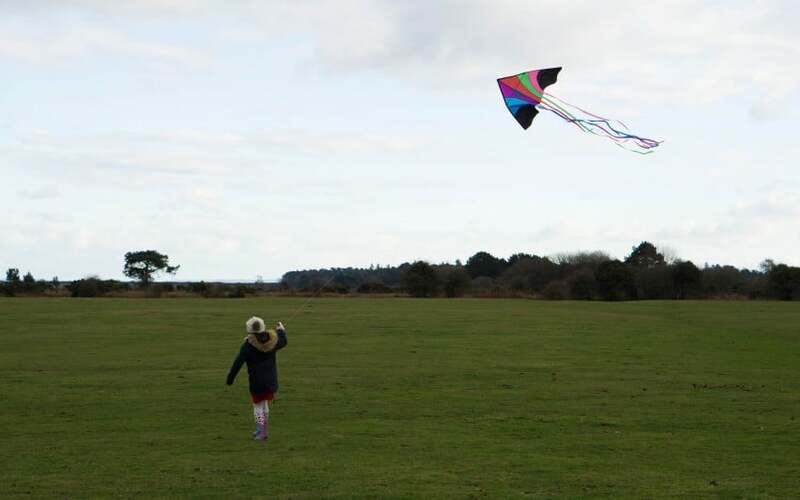 We went kite flying in The New Forest as we could find a lovely open area with no overhead cables around and Wilverley Plain was slightly higher up and plenty of wind for us to fly them. However this kids kite says that it is an easy flyer even in light winds. It was pretty windy when we flew them so had no troubles getting it up in the air to fly by herself. This kids kite was for Lily. The rainbow tassels stood out to me for her! 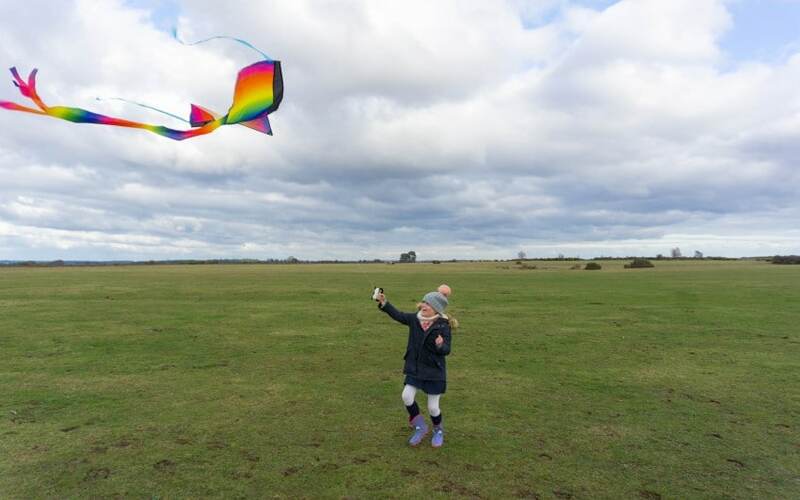 The Tomi Kite was very pretty up in the air, with 6 100″ rainbow tails blowing in the wind. The kite was large it’s self, 60 inches wide and 32 inches long! With 73% 5 stars it was again a popular one. This was very easy to fly, with no troubles getting the kite up into the air and she was able to do it all by herself. It has a 100m string so can fly very high! I decided to pick a different one for Tyler. 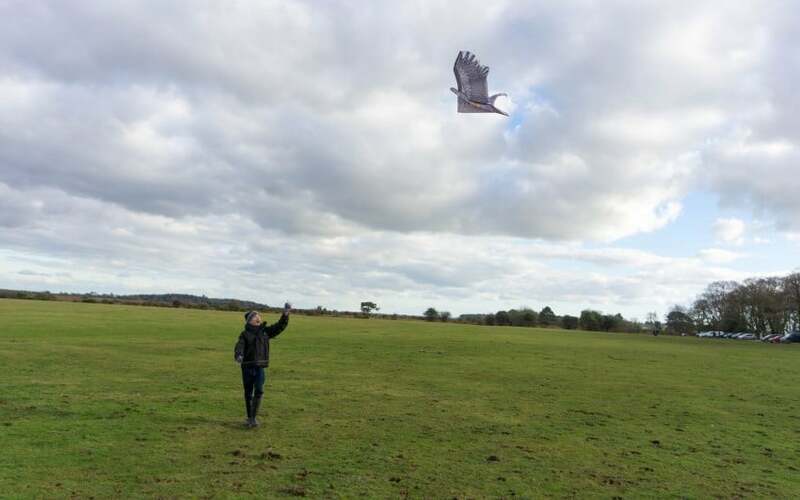 He is 13 and when I spotted this huge eagle kite I knew he would be pretty impressed! Straight away we struggled with this one, it wanted to nose dive downwards and wouldn’t fly up easily. We were silly and didn’t put the kites together at home, so when it came to putting them together in the wind we struggled a bit! 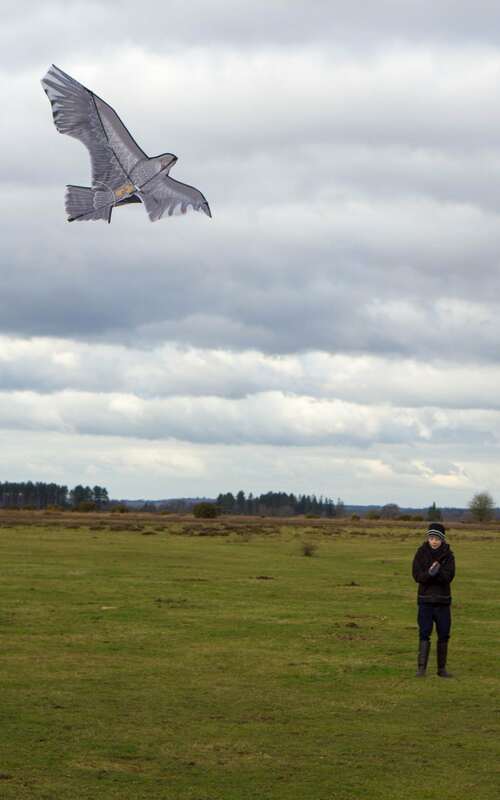 However no fault of the kite. So it wasn’t until we go home and looked into it a bit more, there was a bracket on the back that the poles stuck into that was facing the wrong way. This made the poles bend a different way and make the kite fly incorrectly. Once it was up in the air it looked amazing! I think Tyler will be looking forward to going out again and having another go where he didn’t struggle so much now we have fixed the poles properly. This kite is huge, 180cm wide and 82cm tall. It really suited Tyler well as a 13yr old boy kite flying! We had lots of fun kite flying with the children. They are going to be left in the boot of the car now to take with us on more walks. I found this place to visit through the Solent Kite Flyers website, they had a list of places to go which they think are good for kite flying along the South. They were all so much fun, thanks! Yes we were very lucky, started off grey but the sun came out for us by the end and I loved the kites with the blue skies behind! Kite flying is something we haven’t done with our son yet but we keep saying we should. I’m going to source one and do it! Haha!! Yes we had no troubles with these ones so maybe give one a go! Beautiful kites and lovely photos. 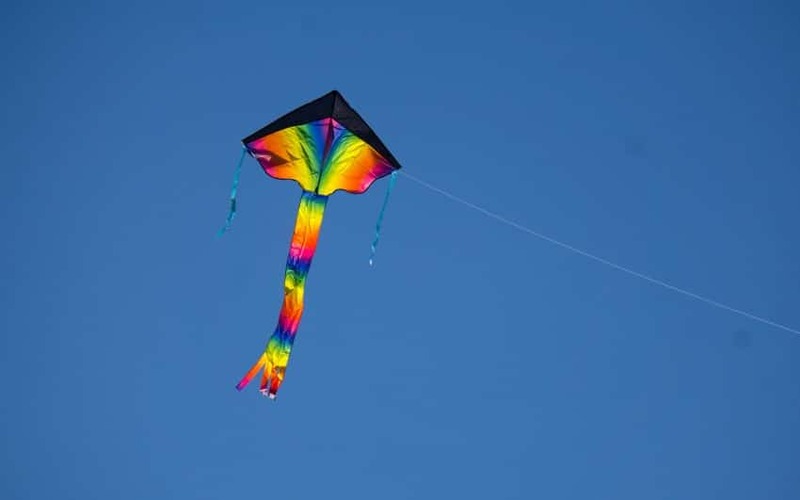 Kite flying is an integral part of some Hindu festivals in my country. I think my son would be pretty impressed with the eagle kite too. 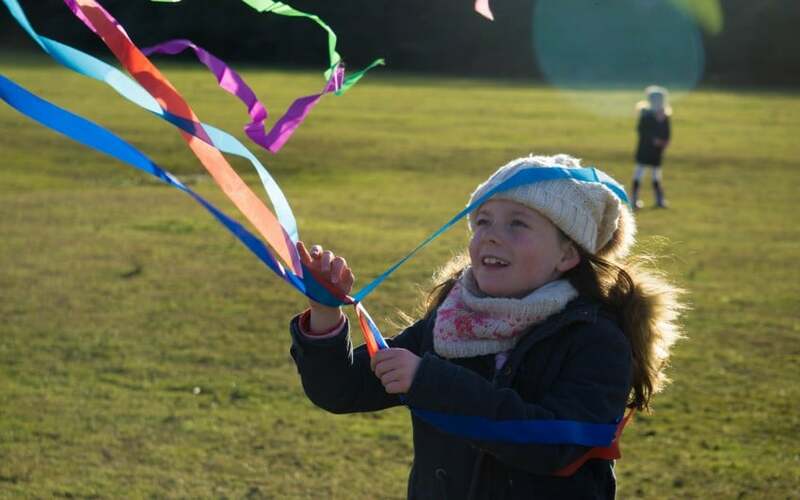 We love kite flying, it’s a great way to spend an afternoon. Yes he loved the eagle kite I am glad I got him that one! Thank you, yes we had a great mixture of grey skies and then the beautiful sunshine came out for a bit. 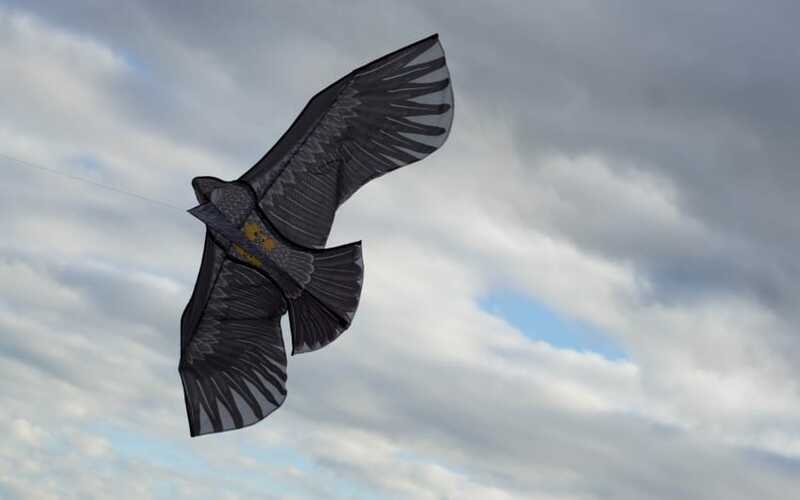 These kites are amazing, i am loving the eagle one. Oh love that you called your kite Bertie!! I love the look of joy on the girls faces. they clearly loved their kites and both look great, I don’t actually know which one I like most! Do any of them have double strings for doing turns and stunts? I remember this being a favourite with my kids – till they crashed to the ground! It does look like you found the perfect place for kite flying, we usually use the beach but that only works at low tide. Looking at your photos I could forget the hours I spent untangling string and want to give it another go. Haha! No I was lucky and they only had 1 handle so there wasn’t any tangling of strings! Saw someone with a two string one today and he was untangling them all!! Such a simple fun task but they loved it, have fun! This is one thing we haven’t done but I’m loving that eagle kite!! It was a great day out with the kids, if a little cold!! Yes rather cold but good fun! How fun does this look! I used to love Kites when I was younger, well I still love them now. I can remember my Dad getting in a paddy when ours wouldn’t fly. Ah it’s brilliant isn’t it! It was easy to fly them all, give it a go! I looooovvvveeeee the eagle one! It is so cool! We are going to fly lots on the beach on holiday – I can’t wait! Oh that eagle one is immense! So cool. We are going to fly kites on the beach on holiday. Can’t wait!! My kids love playing with kites. Will check these brands out. I’venot flown a kitein years I can’t wait to do so with Blake when he is a bit older. That eagel one looks pretty cool. Ah you could do it now with him, this little toddler walking past us couldn’t take his eyes of the kite flying! 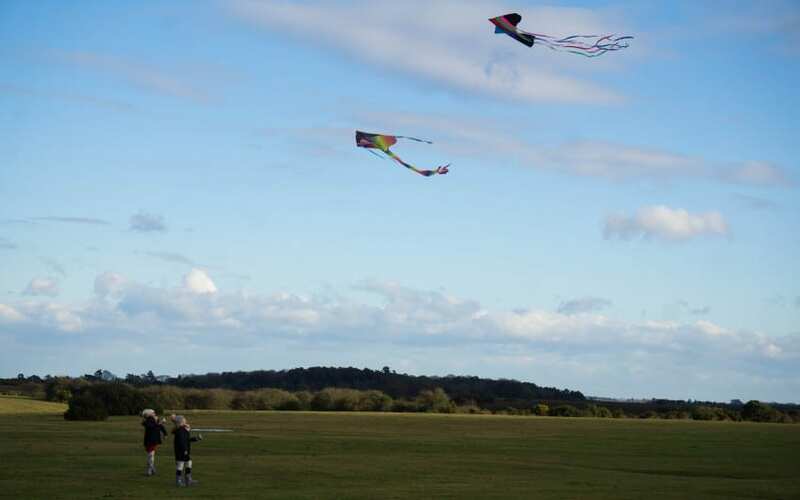 Yeah it is such a simple fun activity for them, enjoy your kite flying! Yes pocket ones are a good idea, these ones wouldn’t fit in my pocket thats for sure!! 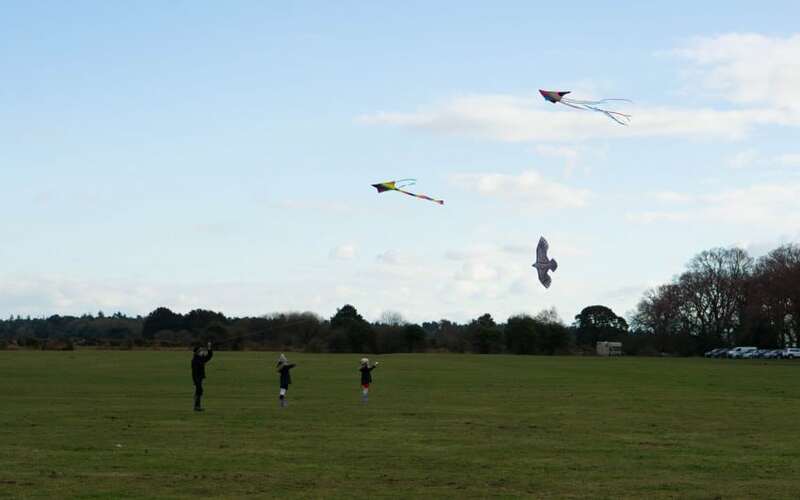 Yes we have the Southsea kite festival which is lots of fun to do, kids love it don’t they! 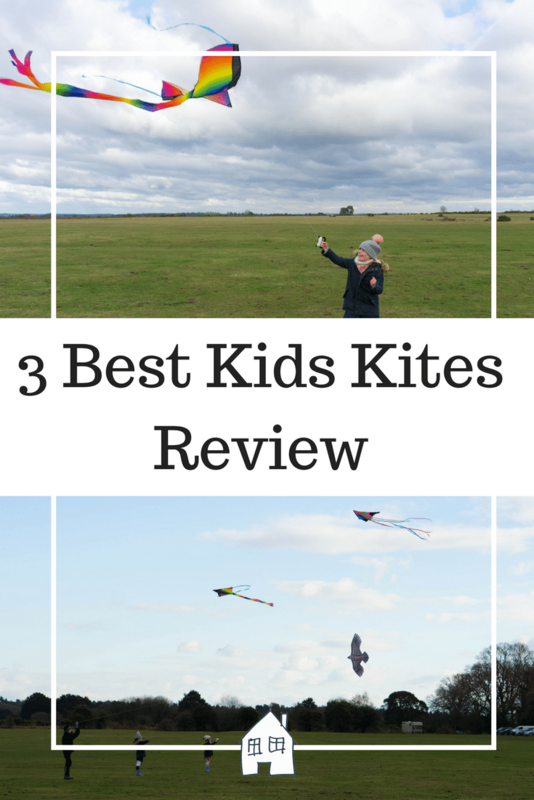 We need a new kite and we absolutely love kite flying so off to investigate these further! Do it, it’s so much fun even for adults!